After a year of anticipation, the publication for the exhibition 'Sung-Chih Chen: Comparative - Deep - Hues' exhibited in 2017 at Crane Gallery is now available for order. Only a limited number available, show your support for Taiwan contemporary art! Sung-Chih Chen: Comparative – Deep - Hues exhibition publication is now available for pre-order online. The official release will be on 28 October 2018. Sung-Chih Chen: Comparative - Deep – Hues exhibition publication contains the collection of new site-specific installations by the artist Chen Sung-Chih, from his 2017 solo exhibition at Crane Gallery, Kaohsiung. Works include End of the Show; Comparative – Deep – Hues; Untitled 2017; Untitled – Room 4 (Drawing) and Inverted Syntax. Recognized for its representation of contemporary art in Southern Taiwan, Crane Gallery presents a rare challenge and trial space for installation artists to engage with the local culture, integrating aesthetic perspectives with contemporary art discourse. 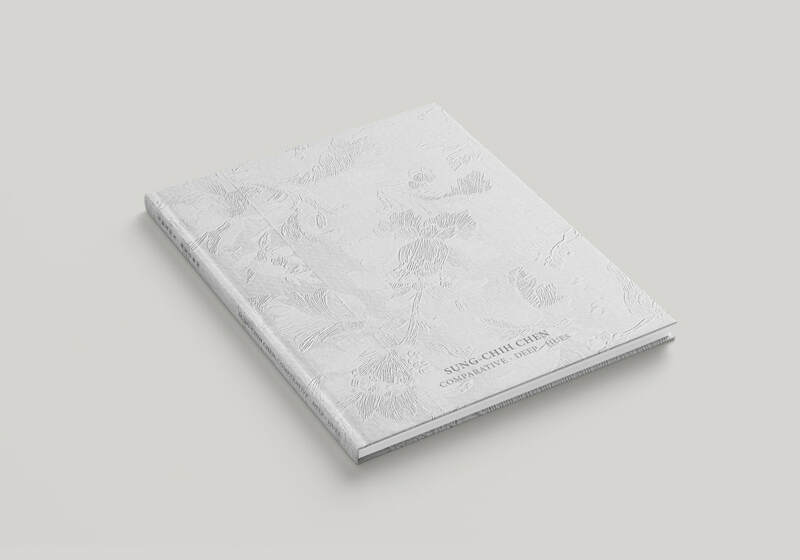 The publication contains an artist statement, a catalogue and introduction of works, as well as essays by contributing writers Lee Mei-Cheng, Director of Crane Gallery and artist Huang Yen-Ying, on the new works and context of Chen Sung-Chih’s developing art practice over the years. Also included is a record of the exhibition’s artist talk, with guest speakers Hsu Hsun-Wei, Professor at the Department of Visual Communication, Chaoyang University of Technology and Li Jiun-Shyan, former Director of Kaohsiung Museum of Fine Arts, in conversation with the artist, compiled into a transcript allowing readers to re-examine the depth and breadth of the site-specific installations, as well as engaging a deeper appreciation for the diversity of Taiwan’s contemporary art scene. Through this comprehensive text readers can gain further insight into Chen Sung-Chih’s unique aesthetics and art practice. The publication provides a valuable addition for individuals or groups interested in collecting or researching the development of contemporary art in Taiwan. Please note: the online order shipping service is limited to within Taiwan only. From 28 Oct 2018 books will be available for purchase at Project Fulfill Art Space, Taipei and Crane Gallery, Kaohsiung. Limited stock, please call to enquire. ​Copyright © Project Fulfill Art Space All Rights Reserved.